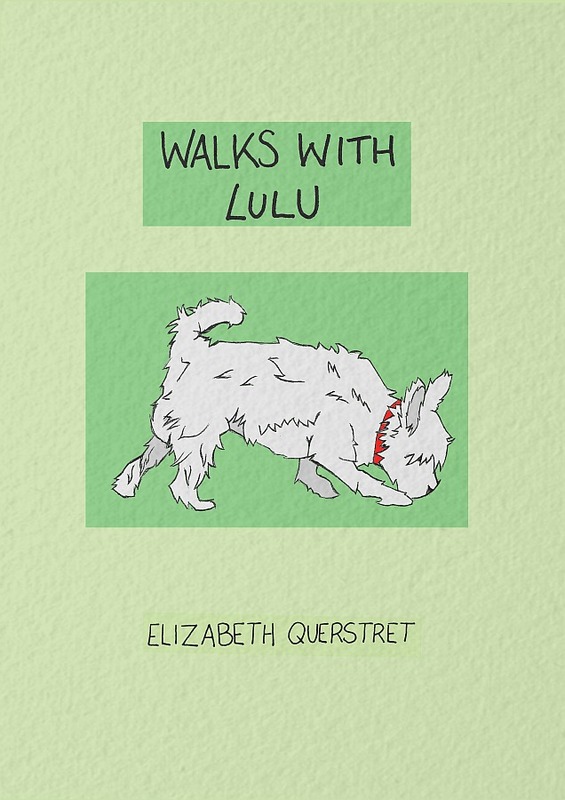 If you’re a fan of Elizabeth Querstret’s idiosyncratic autobiographical comics – and it’s very hard not to be – then be prepared for a very different approach in Walks with LuLu, her first offering to come to us outside of the traditional self-publishing route. 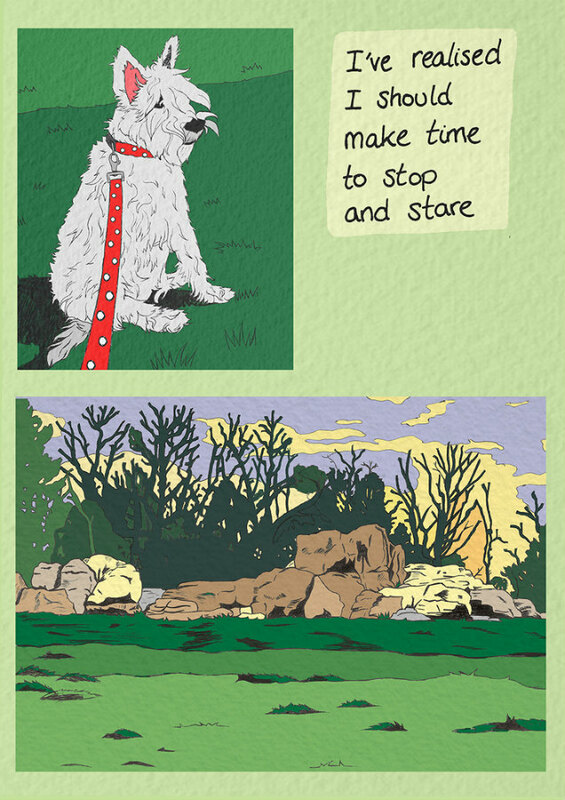 Whereas her Querstret Comics strips are concerned with capturing the moment – and as a result sacrifice sophisticated visuals for empathic immediacy – Walks with LuLu shows a more considered and contemplative side to her comics practice. Not just in terms of a significantly increased level of detail and studied visual style but also in its pensive and subdued storytelling. 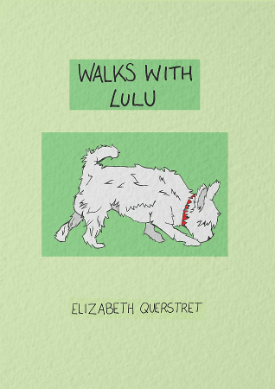 A moment of random connection with a stranger is the catalyst for Elizabeth making a newfound friendship with the titular LuLu, a small dog she takes for walks that allow her to reflect on the tribulations of daily existence, her personal mental wellbeing, and her own place in the world. Those ruminations are paralleled and mirrored by LuLu’s stunningly coloured explorations of her environment; slice-of-life storytelling bound up in direct visual symbolism. 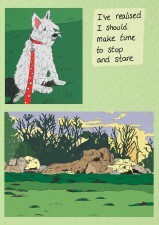 All of Querstret’s work has an unflinching openness and (sometimes painful!) honesty to it but this comic is her bravest to date. It’s an intensely personal piece laying bare her state of mind at a troubled time through an internal monologue that is raw yet recognisable. LuLu becomes a metaphorical extension of Elizabeth’s own search for inner peace and the reader is drawn into that quest by her use of personal perspective. 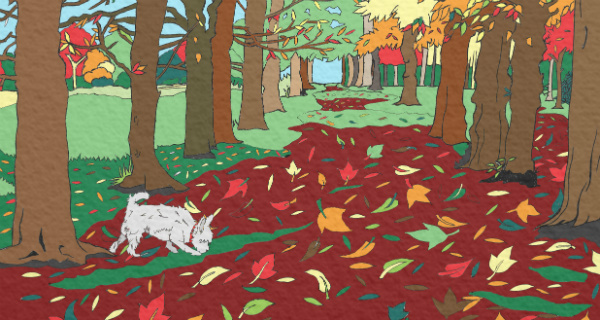 We view events throughout through the eyes of the unseen dog walker ensuring a profound level of emotional connectivity between narrator and audience. While the work here is undoubtedly more elaborate artistically than anything from the Querstret back catalogue to date, it still has presentational character that hearkens back to its creator’s roots in DIY culture – a straightforward form of lettering and an uncomplicated, even endearingly naive, sense of design. 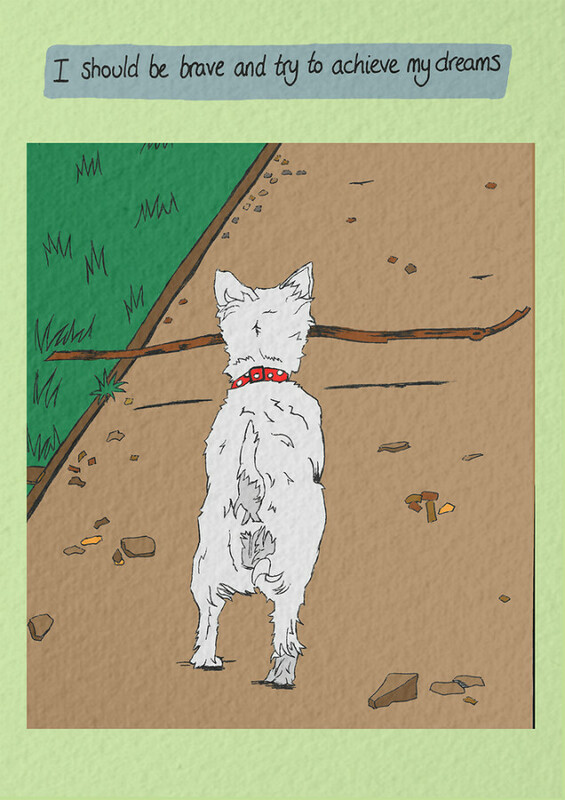 Walks with LuLu is a notable departure from her previous offerings and yet it’s still imbued with that instantly identifiable Querstret candour and sincerity throughout. 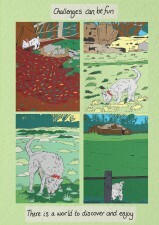 A flexing of her artistic muscles that underlines the perhaps under appreciated depth to her work to date. 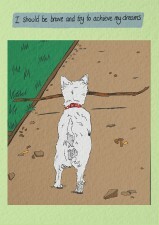 You can buy Walks from LuLu from the Avery Hill Publishing table at the Bristol Comic and Zine Fair on October 3rd or from their online store here priced £4.00. You can also follow Elizabeth Querstret on Twitter here.